The second major battle of the Civil War, and the first fought west of the Mississippi River, the Battle of Wilson’s Creek placed Missouri in the middle of the national conflict. The battle—and the now preserved battlefield—mark an important but painful milestone in Missouri and U.S. history. 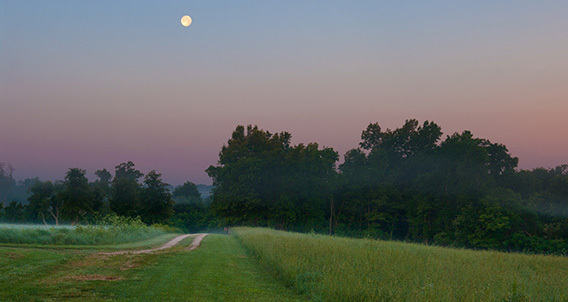 Established in 1960, the 1,920-acre National Battlefield features a driving tour, foot paths to key battle sites, the historic Ray House, impressive Civil War exhibits, and seven miles of hiking and horseback riding trails. As tensions grew between Northern Union and Southern secessionist states, most Missourians preferred to stay neutral in the years leading up to the Civil War. But several key players had other ideas. With its strategic location on the Missouri and Mississippi Rivers, its abundant manpower and natural resources, Missouri could be vital to the war effort. Keeping her loyalty was a priority for the federal government. However, Missouri Governor Claiborne Fox Jackson held strong Southern sympathies and planned to cooperate with the Confederacy’s bid for independence. When President Lincoln called on Missouri to supply four regiments to help put down the Southern rebellion, Governor Jackson refused. 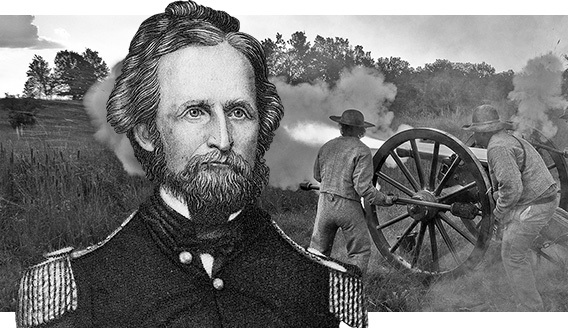 Instead, he ordered State military units to prepare to seize the U.S. arsenal in St. Louis. The arsenal’s commander, Capt. Nathaniel Lyon, put most of the weaponry in hiding in Illinois then met the Governor’s troops with 7,000 of his own, forcing their surrender. Lyon was quickly promoted to Brigadier General and attempted to resolve the situation with Gov. Jackson. When diplomacy proved unsuccessful, Lyon led troops in taking the state capitol in Jefferson City. After an unsuccessful stand at Boonville a few miles up the Missouri River, Gov. Jackson retreated with his forces to southwest Missouri. Lyon gathered reinforcements and encamped at Springfield while 75 miles to the southwest, former Missouri governor and Missouri State Guard Major General Sterling Price drilled his state guard troops. By late July, Generals Ben McCulloch and N. Bart Pearce joined Price. Combined, their Southern coalition numbered more than 12,000 men. The coalition forces marched north, encamping near Wilson’s Creek while Lyon’s 6,000 Union soldiers marched south. Both leaders planned surprise attacks on the other. But rain the night of August 9th caused coalition commander McCulloch to cancel the operation. The next morning, on the 40th anniversary of Missouri’s statehood, Lyon attacked, catching the Southerners off guard. The Federal troops advanced to occupy the crest of a ridge that would soon be known as "Bloody Hill." The battle lasted five grueling hours. Lyon, already wounded twice, was killed while positioning his troops, becoming the first Union general to be killed in action. Initially successful, a flanking maneuver by Union Colonel Franz Sigel was countered by McCulloch’s forces at the Sharp Farm. Outnumbered over two to one, with their general dead and ammunition nearly gone, the Union forces retreated to Springfield. Losses were heavy on both sides, with combined casualties of 2,539. The South won the Battle of Wilson’s Creek (or Oak Hills, as they called it.) Although Lyon lost his life, he achieved his goal of keeping Missouri in the Union. Missouri would see many more battles as the war went on, becoming the third most fought-over state in the nation. Most battles were guerrilla actions with small bands of raiders destroying anything military or civilian that could be used by the enemy. The Wilson’s Creek driving tour and walking paths will take you to many of the important sites, including Bloody Hill, the Sharp Farm, and the Ray House which served as a battlefield hospital. A 5-mile paved road provides a self-guided auto tour with eight interpretive stops at significant battle-related locations. Be sure to check out the new mobile phone tour! The only surviving dwelling from the Battle of Wilson’s Creek, the Ray House served as a temporary Confederate field hospital. The house is open to visitors based on volunteer availability. Hike along Union battle lines on the Bloody Hill Trail where you’ll find a commemorative marker about General Lyon. The Visitor Center features a lively 30-minute film focusing on the battle as well as the history behind it. Explore the 7 miles of hiking and horseback-riding trails that wind through the park. Walk along the historic Wire Road used by both sides during the war. The tour road features 5 walking trails varying in length from 1/4 to 3/4 of a mile. Learn about the Civil War west of the Mississippi River by exploring the new exhibits in the visitor center. Over 250 artifacts and historic photographs tell the unique story of the Civil War in the west. A troop-movement map using lights and a sound narrative describes the Battle of Wilson’s Creek. Children ages 6 and older can earn a special Wilson’s Creek Junior Ranger badge by completing the park’s Junior Ranger program available at the visitor center.